Made of Optical Glass Material, NOT plastic ! - It is rigid and made of optical glass material, which achieves more than 90% of transmittance, thus making the LCD screen clear. - Only 0.5mm thick with 6 layers of coatings and UV Protection. - Optical glass strengthened through special crafting process. - Prevent scratches, collisions and moderate impact to the LCD screen. - No trimming required, fit directly on your LCD screen. - Just clean your LCD screen first, peal off the white back of the protector to stick, Done! - Easy to install and bubbles free, unlike plastic protector which always gives you bubbles between the protector and the screen. 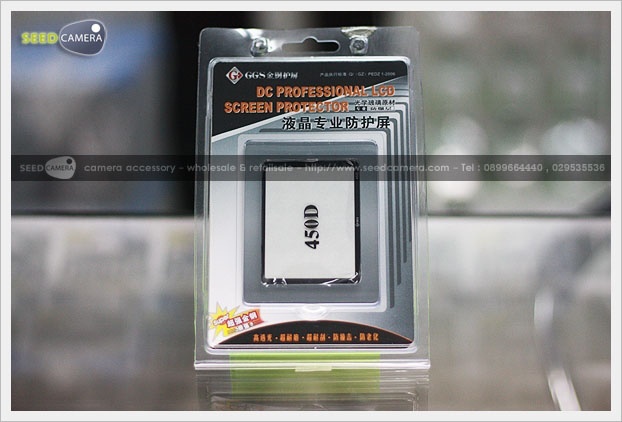 - No adhesive backing at the LCD screen, only at the border of the film for clearness . - Can be removed and reinstall, without leaving ugly residual on your LCD screen. Do not use fingernails to lift the four corners of the screen protector as it may break the glass then hurt your fingers or damage the camera. It is suggested to use a plastic name card or similar item to slide around the edge of the screen to remove it.